MARIETTA, Ga., September 8th, 2011 -- Lockheed Martin [NYSE: LMT] delivered the sixth C-130J Super Hercules to crews at Dyess Air Force Base (AFB), Texas, today. The 317th Airlift Group at Dyess continues to transition to the new C-130J Super Hercules. 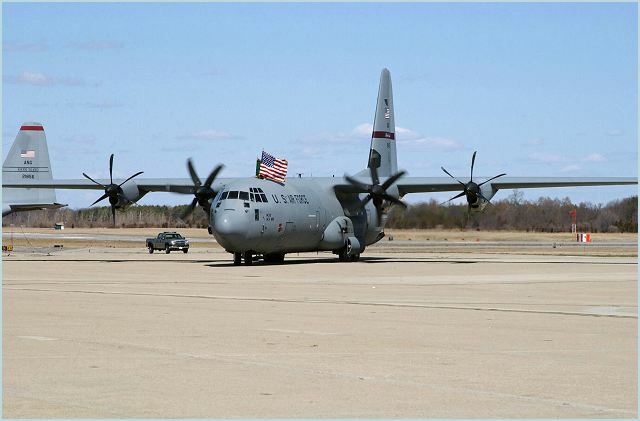 By 2013, Dyess will have the distinction of being home to the largest C-130J fleet in the Air Force when it receives its 28th Super Hercules aircraft. “The latest C-130J delivery represents another key step in continuing efforts to modernize our inventory to provide the best tactical airlift to commanders across the globe,” Allardice said. “Whether supporting contingencies, saving lives through rapid aeromedical evacuation, delivering hope through worldwide humanitarian assistance and disaster relief response, or a multitude of other roles, the Super Herc provides our Airmen with a new tool to accomplish their world-class mission done better than ever." Dyess officials first accepted their C-130 A and D models in 1961, and currently fly the H and J models. These C-130s were used to execute a variety of missions, ranging from military operations to humanitarian airlift to unique tasks including support of NASA’s historic Mercury space program. The J-model continues to be the global leader in tactical airlift and one of the most versatile aircraft in the U.S. inventory with a multitude of various missions.